Did you hear that? 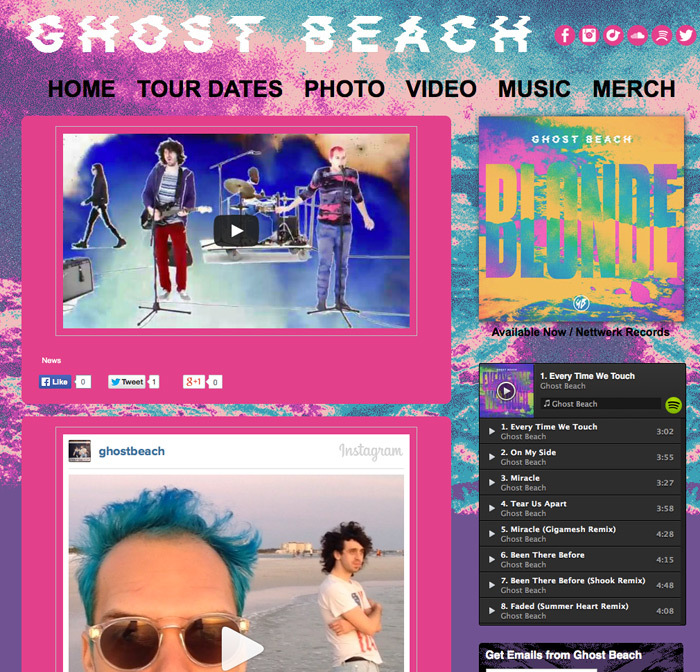 That was the sound of you hearing about Ghost Beach first… right here.. from me. Not only are they lovely people with great taste in website developers, they just happen to make the most wildly delightful dancefloor hits that you and most people over the age of 28 have never heard. Not convinced? You’re going to make me embed this player to prove it, aren’t you. Now that we’ve got that settled, here’s the eye-melting website that we put together in conjunction with the fine folk at their Nettwerk Records home. The new Ghost Beach website.